After my FFO's (Friday Flip-Off's) Virtual Detox of sorts I thought it'd be nice to do some Sunday Smiles. It was started by Melissa over at Miel et Lait. Although life occasionally needs a good old fashioned rant, I have much to be grateful for. These are the things that made me smile this week. 6. Random acts of kindness. 12. Sweet tweets and texts. 14. Taco night with friends. 15. Hug from Little Man. 17. Waking up to hubs. 18. Corn on the cob. I also am once again smiling about the bloggy support I've received this week. I was in entertaining mode and not around much and still had a few awards sent my way. 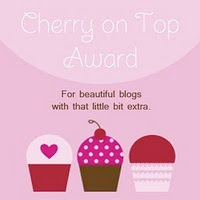 Hannah from Our Happy Home (a blog with a variety of topics plus yummy recipes to boot) for The Cherry on Top Award. Cheryl from Scrubby Brush (an Australian who does some great FFOs and thinks I'm tech savvy. Ha!) for The Blog With Substance Award. 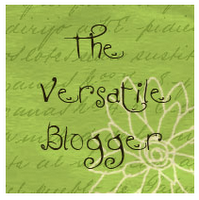 and Katie from Sluiter Nation (an all around fun person who has a rockin blog that just celebrated it's 3rd year blogiversary) for The Versatile Blogger Award. They have been put straightaway into the trophy case. Thanks girls. You sure do know how to make a girl feel good. Make sure to check them all out when ya have a minute. I must admit I've been meandering a bit trying to find my niche. I had hoped that I would be able to use my blog to write more as an outlet, but I find myself once again going back to that which I am most comfortable, that being my photos. Although I am not the best photographer I think they tell my stories often better than my words. 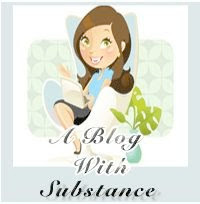 Thanks for sticking with me and accepting me as I settle into my blog. Hope you had a lovely week and found a few smiles along the way too. Congrats on the awards and I love your list. I can relate to so many of them. In fact last night we had a last minute sitter last night after I had given up after 4 had turned me down due to other commitments or vacation. Love the list, all wonderful things to be grateful for! Your photography is awesome, that seems to be your niche, I love looking at all the photos so keep up the good work! Wow, congrats on all your awards (yet again!). Your list made me smile, too :) There are so many things on there that I'm grateful for too. Thanks for introducing me to another fantastic meme...I think I might link up next week! Congrats on all of your well deserved awards...you are racking 'em up! These are wonderful and made me smile too! I love how BIG your pics are!!!! Please do tell me how you get them so BIG!!!! I am having my blog redesigned and my goal is to have space for BIG pics! Are you using the xlarge setting on blogger? I "found" you from your comment on the Dating Divas site, and I had to whip over and check out your blog! You are simply gorgeous, and I love your pics! As far as your question on where to find DUO, I found it at Walmart, and you can also get purchase it online or at Walgreens. Enjoy! a beautiful mess:Like my sunday paper that i have to have for my coupons, or my country sampler magazine.I just adore it so much!Wohoo! @the beautiful music/i-tunes. Great List...how much fun!!!! Just LIFE!!!! I love your list!! It's so good to read about what makes you happy...loved it. Also your art is great. What a great Sunday post!!! It's so fun to read about what people are greatful for because it makes me think me too, me too, me too! There is so much to appreciate! What a great list! Last minute sitter made me smile, picturing myself running around like crazy to go out and be an adult!! Love that.. Here's to another great list-making week! Ooh, I like the Sunday Smiles, esp. random acts of kindness, movie night, and smell of fresh cut grass:) Love your phots, they always make me smile. Love the list, girl! :D It's a great way to count our blessings. Congrats on your well deserved awards too. What a superb list - it's always nice to take a minute after Flipping Stuff Off to count our blessings and all the things that make us smile. I especially love corn on the cob and generous neighbors. Congrats on the awards too! !